What are packing cubes for? 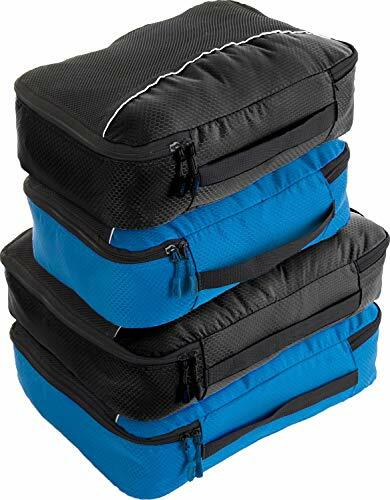 If you have never tried packing cubes, or are a long term fan, hopefully we can help you decide which are the best ones for you. 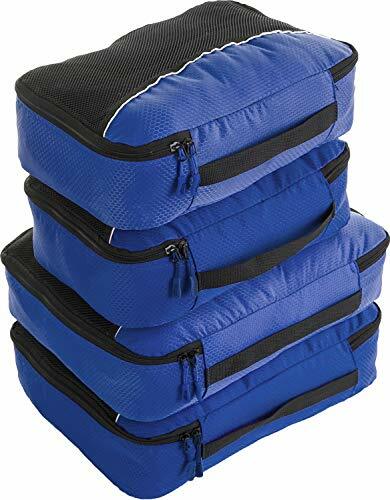 It may be that you are looking for a cheap set of packing cubes because you are on a limited budget and don’t want to spend too much on an accessory, or you could be after a robust designer set of luggage cubes. 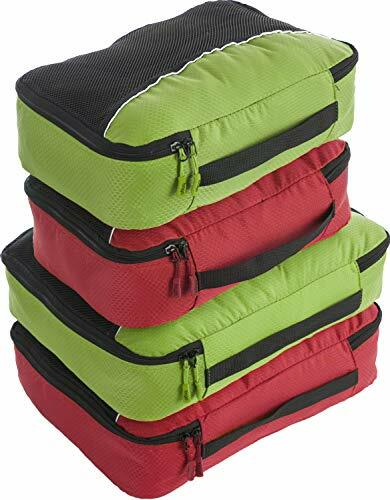 Packing cubes tend to be lightweight and come in sets of different shapes and sizes to cater for all sorts of travel essentials. They are designed to organise your luggage and keep the contents of your suitcase or travel bag neat and tidy. Imagine opening up your suitcase after a long journey and your carefully packed clothes are in place and easy to find. No more rummaging in the depths of your case to find your favourite bikini or sandals. These handy cubes often have mesh fronts to allow you to easily see inside, and it allows the contents to breathe. One of the most popular types of packing cubes is designed for shoes. Some will hold just one pair while others can hold several. Now you can keep your footwear away from your clothes and avoid getting grit or dirt all over them. You can even use these for storage at home in the bottom of your wardrobe or hallway cupboard. Large flat packing cubes can hold folded shirts, tee shirts, or dresses, tidily inside your suitcase. When you lift your case up, they will stop everything sliding to the bottom of the case and getting all scrunched up. Hopefully this means your carefully ironed shirts will stay ironed while you travel. Use other cubes for dirty washing and make life easier when you return home. Just empty the laundry cube into your washing basket and unpacking is quicker than ever before. It also helps keep your hotel room or accommodation tidy as you have somewhere to store your worn clothing. If you are travelling with family, or friends, and are sharing luggage space, then buy different coloured packing cube sets and it’s easy to see and identify your belongings. Handy when you are trying to only check one large suitcase into an aeroplane hold to save on luggage fees. If you are travelling with a baby or young children, these cubes can be invaluable. Use one to hold a quick nappy changing kit, and another for storing clean or dirty clothes. If you are a real nappy user, use a cube to hold the clean nappies ready to use at a moment’s notice. A smaller cube could hold some toys or books to help ease the boredom on a long journey too. Even though they originally came about to organise travel space, packing cubes have a myriad of uses in daily life. Use one or two inside a handbag to organise the inside and add extra compartments, especially in larger bags where there are few pockets. They can also help keep everything in place when using a backpack, whether it’s for a weekend trip, as hand luggage, or your bag for work. If you use your daily bag for more than one purpose, then a set of cubes can help keep things separate. You could put one with your gym clothes and trainers inside and then grab the cube and be on your way to your class. An added bonus is your sweaty clothes will be kept away from your laptop and paperwork afterwards too. Use cubes to create a changing bag from a normal bag. One cube for nappies, wipes, and nappy sacks. One for a change of clothes. One for food. One for toys or books. Organise your bedroom with packing cubes. Instead of a chaotic underwear drawer, use some cubes as compartments and keep your delicates separate and in pristine condition. Whether you use a tent, caravan, or enjoy boating, you will know space is at a premium, and packing for a trip can be tedious. Sets of cubes can help. Have some pre-packed at home, then all you need is to grab and go. A cube collection can be stacked on top of each other, which can maximise the use of taller cupboards and storage.